Laszlo Gardony’s recordings have been hailed as imaginative, expressive works of open-ended invention and emotion. Laszlo Gardony, Hungary’s great gift to the world of jazz piano, celebrates the lush, orchestral possibilities of the instrument at the Hartford Public Library’s free Baby Grand Jazz series at 3:00 pm on Sunday, March 1, collaborating with his trio, a hard-swinging, cerebral chamber jazz unit that grooves on deep emotion and bold invention. 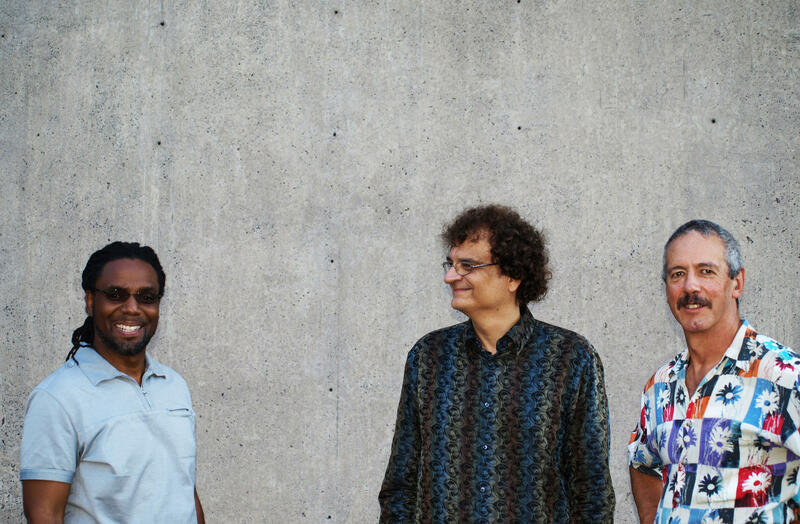 All tuned-in on the same intuitive wavelength, Gardony’s simpatico sidekicks are bassist John Lockwood and drummer Yoron Israel, a triple alliance that has been making music together since 2001. 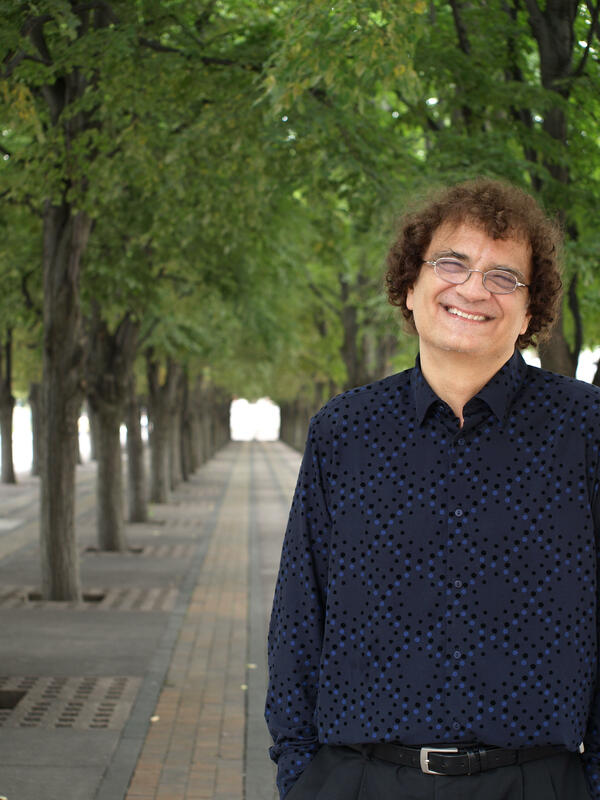 Gardony, who was born in Hungary in 1956 and graduated from the Bela Bartok Conservatory in 1979, emigrated to the States in 1983, inspired by his passion to be as close to the center of jazz as possible in a country whose culture he was already crazy about. With initially limited English language skills but boundless dreams of learning as much as possible about jazz at its fount, he immediately enjoyed a giant piece of good fortune in his adopted new land by winning a full scholarship to Berklee College of Music in Boston. The Laszlo Gardony Trio: Yoron Israel, Laszlo Gardony and John Lockwood. Working his way up from part-time teaching status to professorship, Gardony has been a distinguished faculty member at Berklee College for more than 30 years, while simultaneously enjoying a successful career as a recording and touring artist. 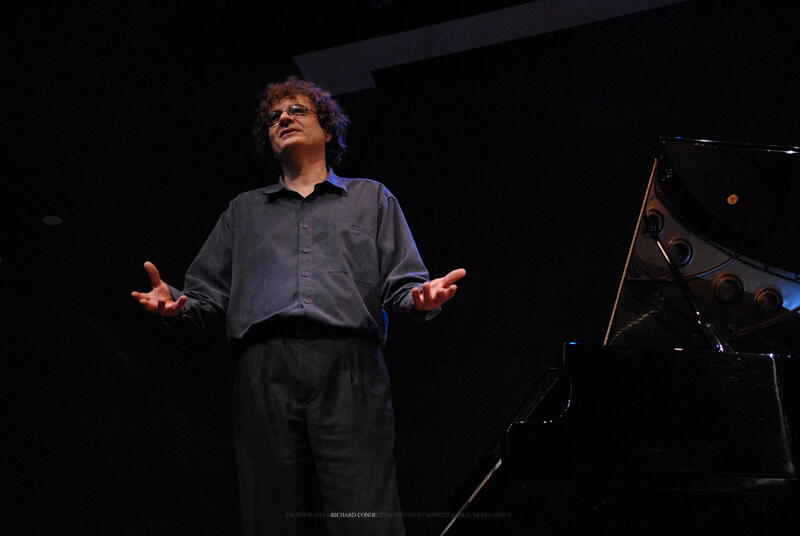 With an active performing career throughout Europe even before coming to the States, he first seized attention in his adopted homeland in 1987 when he placed first in the Great American Jazz Piano Competition. Gardony’s recordings as a leader have been hailed not merely for their pianistic prowess, but also as imaginative, expressive works of open-ended invention and emotion. A classic example is his meditative, improvised homage to his deceased parents on his 1995 album, Clarity. He forges an original voice from his ecumenical embrace of modern jazz, blues, gospel, folk, progressive rock, and classical music. Along with this signature storytelling element, Gardony’s music resonates with a soulful mood and a sense of discovery analogous to what a mathematician might experience when arriving at an elegant solution to a complex problem. In his teens, jazz entered Gardony’s classically oriented life and never left. When he was 15, a friend introduced him to a whole new world of unimaginable excitement and pleasure presided over by such gods of creation as John Coltrane, Miles Davis, Bill Evans, and Dave Brubeck. Thanks to international tours sponsored by the U.S. State Department, the teen convert to jazz was also able to hear live performances in Hungary by some of his new American superheroes, including a concert by the iconic Charles Mingus, the embodiment of the American artist as a fearless culture hero. Back then, Gardony was a young polymath with gifts not just in music, but also in math and science. He studied math and science at Budapest’s ELTE Science University and, later, music at Bela Bartok Conservatory (named after the great, 20th century Hungarian composer, pianist and ethnomusicologist). As passionate as Gardony is about jazz, his artistic voice is the product of a distillation of a mosaic of genres. After graduating with his various degrees and landing his first real job with a band that was led by a Hungarian drummer and included American sidemen, Gardony began touring Europe. When playing at festivals, he always paid rapt attention to bands led by such American giants as Art Blakey, McCoy Tyner, John Scofield and, in a touch of internationalism, the great South African pianist Abdullah Ibrahim. While lessons about life and music on the road as an itinerant jazz musician were an education of sorts, Gardony hungered to learn more about the music and to be in the land where jazz titans walked the earth. So the siren call of jazz inevitably drew him to the United States. Here he initially divided much of his time and energy with residencies both in the Big Apple, where he played and learned everything he could from hands-on experience, and in Boston where he taught at Berklee. It was, in those formative years, a two-city solution that gave the jazz-addicted performer/teacher/scholar the best of both worlds. His personal tale of two cities gave him the opportunity to experience both the academic security of Boston as well his mandatory jazz rite of passage amidst the trail-by-fire competition of the Big Apple scene. For the Baby Grand Jazz session, the trio will play original compositions by Gardony that will appear on his next CD whose working title is Life in Real Time. Set for release in May on Sunnyside Records, it will be a sextet album featuring The Gardony Trio beefed-up with a trifecta of reed players featuring Bill Pierce, Don Braden and Stan Strickland. Concert-goers at the downtown library can also expect to hear the trio’s take on The Beatles’ “Lady Madonna” and “Eleanor Rigby,” along, perhaps, with re-imagined standards and jazz standbys, including George Shearing’s “Lullaby of Birdland.” Anticipate surprise and expect the sound of something new, Gardony promised the Baby Grand Jazz audience. “In a concert situation with a band like this,” he said, “there is always the chance of something really unique happening in each tune…something that never happened before.” Information: hplct.org and (860) 695-6300. 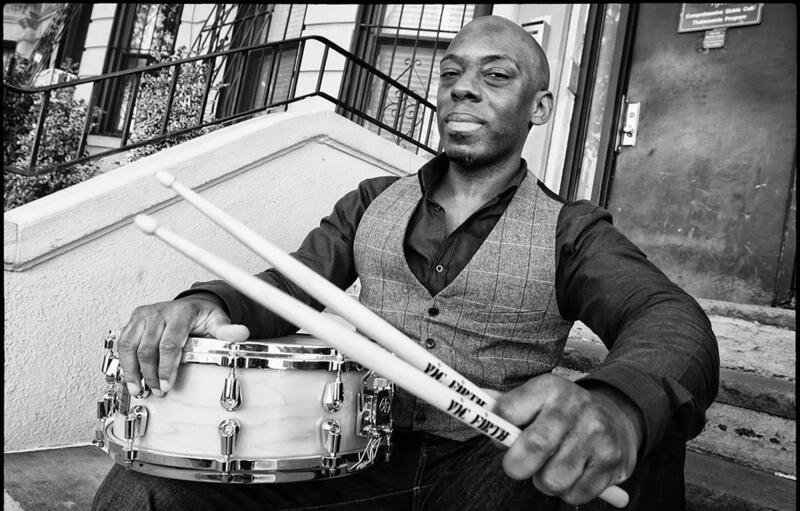 Drummer/composer E.J. Strickland celebrates the release of his vibrant, varied new CD, The Undying Spirit, as he leads his swinging, sophisticated quintet at 8:30 pm on Friday, February 27, at The Side Door Jazz Club in Old Lyme. Joining him in the well-merited celebration is his identical twin brother, the formidable tenor and soprano saxophonist Marcus Strickland, forming a mighty one-two punch. All that fraternal firepower and sibling savvy is heightened by the imposing array of talent presented by other members of the Strickland strike force: alto saxophonist Jaleel Shaw, the brilliant Venezuelan pianist Luis Perdomo and the wondrous Linda Oh on bass. Oh is the newest member of the band, but plays with unshakeable conviction, empathy and solo strength. She’s a perfect fit for this smartest of swat teams that’s always on target, playing with precision, warmth and a fine sense of balance. What the uplifting Undying Spirit promises is another night of fine jazz at The Side Door, the shoreline jazz spa that continues to flood the Connecticut scene with a Big Apple-like variety of top talent. Admission: $38.50. On Saturday night, also at 8:30, talent still surges at high tide as the club presents bassist Ben Wolfe at the helm of a shipshape quartet featuring saxophonist Stacy Dillard, pianist Orrin Evans and drummer Donald Edwards. Admission: $35.00. Information: thesidedoorjazz.com and (860) 434-0886. Stanley Maxwell featuring, left to right, Mark Crino (bass), Eric DellaVecchia (alto saxophone), Evan Green (piano), and Andy Chatfield (drums). Stanley Maxwell, an award-winning, Connecticut-based jazz quartet, presents old works as well as world premieres as it performs in a free concert at 3:00 pm on Sunday, March 1, at The Russell House, a 19th-century, Corinthian Greek revival style mansion on the Wesleyan University campus in Middletown. 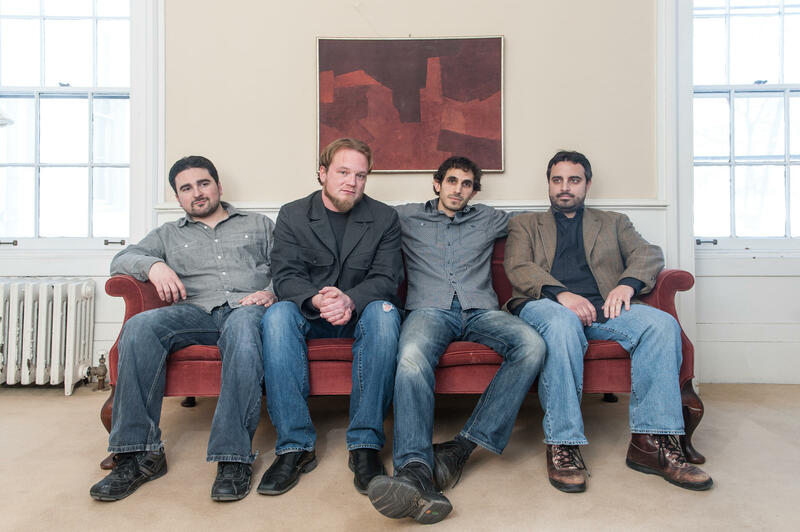 The bold, industrious quartet, which has played at colleges and festivals throughout the Northeast and at such Connecticut venues as The Bushnell and The Buttonwood Tree, features drummer Andy Chatfield, bassist Mark Crino, alto saxophonist Eric DellaVecchia and pianist Evan Green. Information: stanleymaxwell.com. The event, which is followed by a reception, is part of the Music at Russell House series, which since 1997 has featured such artists as Anthony Braxton, Jay Hoggard, Taylor Ho Bynum, Noah Baerman and Giacomo Gates, among many others. The Stanley Maxwell concert is presented by Wesleyan University’s Center for the Arts and The Russell House. At home with jazz, rock, pop and the avant-garde, guitarist/composer Dan Arcamone ranges from launching high-arcing ballads to unleashing soaring rock-fused furies as he leads his quartet at 8:00 pm on Saturday, February 28, at The Buttonwood Tree, Middletown. His Buttonwood buddies are saxophonist Sean Nowell, bassist Mike Nunno and drummer Kenny Grohowski. Admission: $10.00. Information: (860) 347-4957. 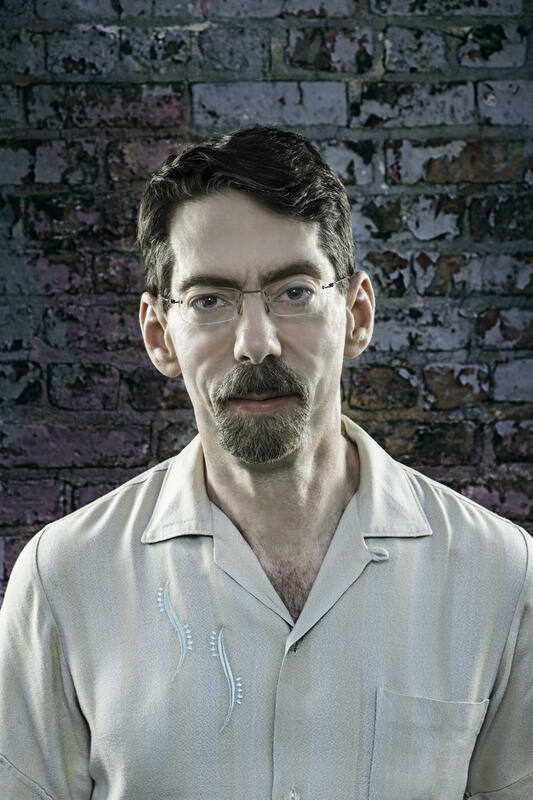 Always welcome, the Fred Hersch Trio returns to the area to perform at 8:00 pm on Thursday, February 26, in The Magic Triangle Series in Bezanson Recital Hall at the Fine Arts Center at the University of Massachusetts at Amherst. To get a tantalizing hint of what this premier chamber unit presents in a live context, try its latest acclaimed CD, Floating (Palmetto), a studio recording whose selections are sequenced the way the trio plays a live set in a club or concert hall. Hersch’s collaborators are bassist John Hebert and drummer Eric McPherson. Tickets: $12.00, general public; $7.00 students, available at (800) 999-UMAS. All About Jazz hails the Texas-born, New York-based saxophonist/composer Hashem Assadullahi as an emerging talent who “knits together ethereal and spiritual sounds” in the manner of John Coltrane. The young weaver of dreams, who can also seamlessly stitch together a wide range of moods and styles, leads his quartet at 6:00 pm on Sunday, March 1, at the ongoing, red-hot jazz series served at Pizzeria Lauretano in Bethel. Assadullahi’s acclaimed, 2013 debut CD, Pieces (OA2 Records), was a fine showcase for his skills as a saxophonist and a composer whose inspiration taps into everything from jazz and classical to pop and movie soundtracks. $12.00. Information: pizzerialauretano.com and (203) 792-1500.